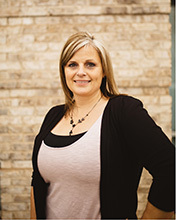 Jen McCorkle joined our team in 2015 bringing over 17 years of Office Manager Experience. Her duties include tax return processing of individuals, corporations, and partnerships. Her office manager duties include, Accounts Receivable/Payable, billing and customer service. In her spare time, she loves spending time with her family, baking, and crafting.